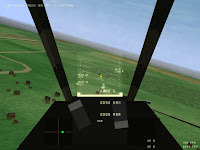 I recently discovered YAFS on SF.net: Fictional Air Combat, which is an action flight simulation at an early development stage. I have not yet tried to find out the licenses/authors of 3d graphics and textures (and don't know if I will). It seems however that they are all original. (And I like them.) There is no sound yet. 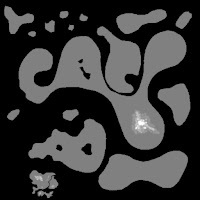 Levels get created from height maps and a texture placement file, which has an own graphical editor for it (though I wasn't able to find the tool). Fictional Air Combat reminds me of Thunder&Lightning, which was unfortunately updated last time nearly one year ago. Go grab a flight gear or warsow throw the ogg files in. good that he's getting decent food at last. Let's hope he gets to go home soon and get a job.